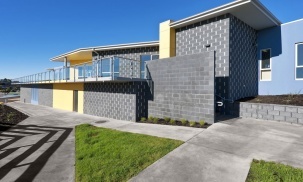 Like so many schools around the state Sacred Heart catholic Primary school has been progressively remodelling their facilities for over 10 years. Our master planned approach has seen a consistent design philosophy being applied to each area. The school’s library had not been touched since the day it was built and featured old style décor and a layout long out of date. The focus of the redesign was to reconnect students with books and the concept of storytelling. All surfaces in the space were shaped to express books; columns were concealed with book stacks, walls hidden behind shelving, ceilings shaped to reflect the pages of a book. Story telling was part of the fabric and part of the student’s day in the library. Story corner was defined by its décor and a place where students could disappear into fantasy as they listen to the words of a particular story as they sit amongst the colourful squares. Furniture and shelving in the library was selected for their portability. It’s easy to move the furniture around create new spaces, quiet spaces or even one large space that could serve another purpose. 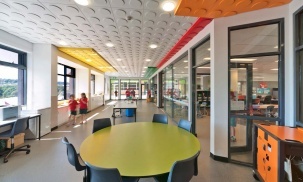 The library was remodelled to be inspiring and excite students to want to read books. 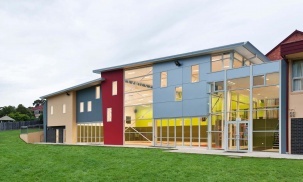 The space was also to be flexible and give the school the opportunity to use the space for other purposes. The library has received much attention since it was built from other schools and we hope that they will aim to inspire their students and promote the joy of reading.